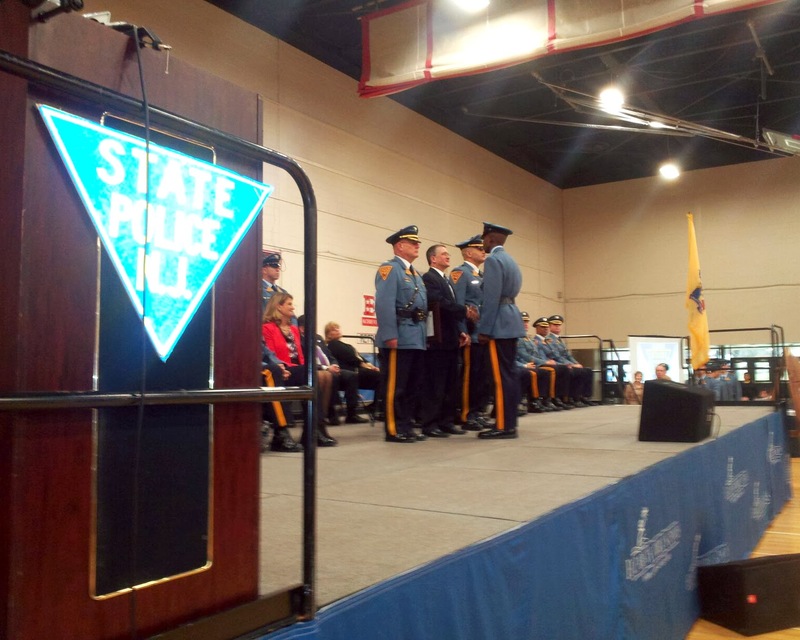 Fernando J. Gensollen of Galloway Township is among the 153rd New State Police Class Recruit Training Graduates. 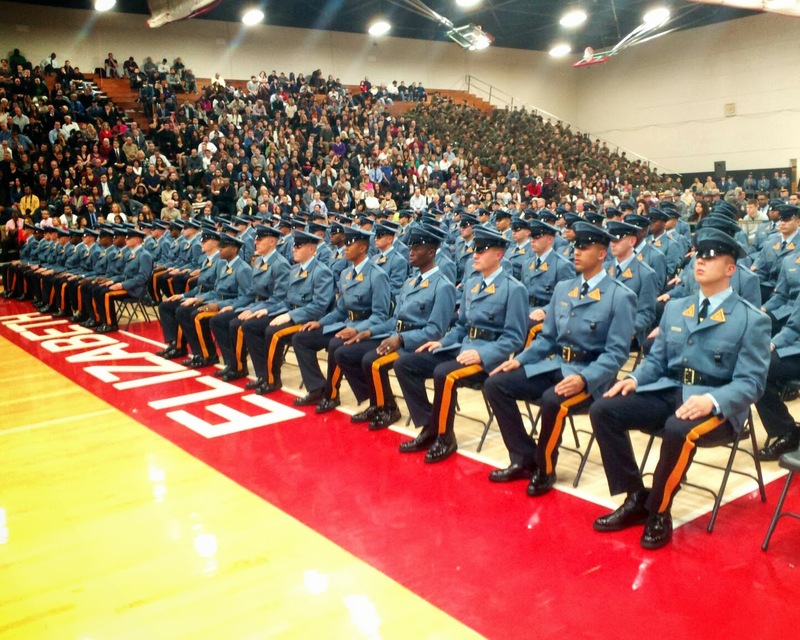 Acting Attorney General John J. Hoffman and Colonel Rick Fuentes, Superintendent of the New Jersey State Police, presented badges to New Jersey’s newest state troopers during graduation ceremonies at Elizabeth High School this morning. The153rd State Police Class is the most racially diverse in the history of the State Police, with 54 percent of the graduates coming from minority groups. “The 153rd class represents a major step forward in our continuing effort to develop and maintain a State Police force that reflects the diverse population it serves. That is critical because the State Police is the most visible symbol of law enforcement throughout New Jersey, and every individual Trooper who puts on the uniform is recognized as a leader -- on the road, in his or her neighborhood and in the community at large,” said Governor Chris Christie of the new troopers. "The difference between mediocrity and excellence for any organization is not just equipment or facilities - it is about people. And that is where you, the graduates of the 153rd State Police class come in. As of today, the continued success of the State Police mission is in your hands. You are the organization's future, and your dedication and professionalism will determine its success," said Acting Attorney General John J. Hoffman. Seventy-four percent of the 153rd Class has a Bachelor’s Degree or higher; 42 percent played college sports; 16 percent have prior military service (Army, Navy, Marines, Air Force, National Guard and Coast Guard); and several graduates have previous law enforcement or emergency management experience. “The 118 men and women of the 153rd Class entered on day one as individuals, and are now leaving as a unified team. They successfully completed the transformation from civilian to highly-skilled law enforcement professional, and are ready to begin their careers as protectors of the citizens of New Jersey,” said Julian Castellanos, Commandant of the New Jersey State Police Academy. The life of a New Jersey State Police recruit in the academy is not easy by any means. Often recruits are required to be away from their families during significant events at home. While this class was in the academy, seven recruits endured the tragedy of family deaths, three recruits were married, and three recruits celebrated the birth of a child. While they coped with these important events, it was imperative that they maintained their focus and concentrated on their training. The 153rd Class completed 24 weeks of strenuous physical and academic training consisting of exhaustive classroom and practical training scenarios. The recruits participated in extensive training and role-playing exercises focused on domestic violence situations, human dignity, and cultural diversity. In the area of cultural diversity, the trooper recruits received detailed instruction from experts outside of the State Police, including representatives from ethnic, cultural, community, and professional organizations. ▪ The winner of the “Academic Performance Award” is Trooper Thomas Tarsitano, of Brick, N.J. Throughout the academy training program; he achieved an overall academic average of 92.8 percent. ▪ The winner of the “Firearms Proficiency Award” is Trooper Ramon Ortiz of Egg Harbor Township, N.J. During firearms training, he fired an average score of 179 out of a possible 180. ▪ The winner of the “Physical Training Award” is Trooper Laejon Brooks of West Orange, N.J. During the physical agility testing, he achieved a perfect 100 percent score, a tribute to his physical conditioning. Each applicant applying to the State Police is required to have a bachelor’s degree or, alternatively, a minimum of 60 college credits, plus two years of work experience. The probationary troopers will be assigned to stations throughout the state and over the next 11 weeks, the new troopers will begin their careers under the watchful eye of their Trooper-Coaches and supervisors. 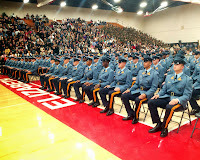 During fiscal year 2014 the State Police has graduated two classes, the 152nd which graduated on October 4th, 2013 and the 153rd which is received their badges today. Two additional classes, the 154th is scheduled to start in March and the 155th is scheduled to start in May 2014. The 154th and 155th will graduate in fiscal year 2015. Follow the New Jersey State Police online at Twitter and Facebook . The social media links provided are for reference only. The New Jersey State Police do not endorse any non-governmental websites, companies or applications. For additional information visit our website at www.njsp.org. Attached is a list of the graduating troopers with their towns.